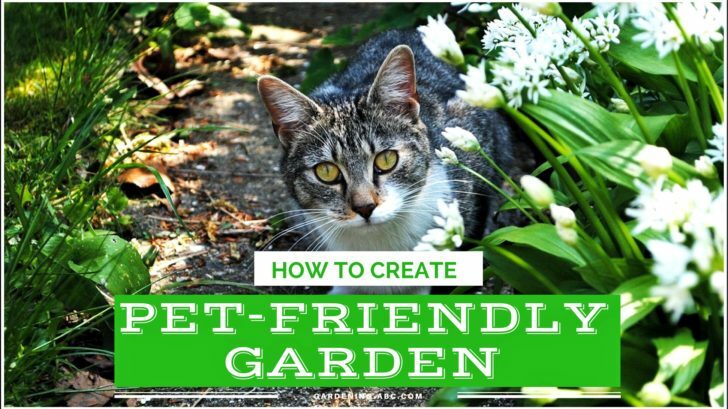 If you have pets and you also want to do gardening you need to consider two major issues. Your garden may cause some harm to your pets. Now let’s consider those two points in detail and the steps to counter those problems. Like it or not, pets have a tendency to destroy the vegetables which have been planted. Urination is a very common phenomenon. Dogs tend to urinate in the gardens. Sometimes it is so toxic that it can kill grasses. The best you can do is to put some water over the place to dilute the impact. Remove any dog poo immediately and don’t wait for they to dicey. Open Garden space is heaven for cat littering. Don’t keep any garden beds open. If you don’t have anything to grow, cover it with mulch or plastic. Open garden beds are the place where cats prefer to litter. Building a fence around the vegetables or the garden to protect the plants. Here is an article you should read on building fences. In the case of a cat, this type of fencing might not work. So what you can do is use plastic forks and plant them evenly (not more than 8 inches apart) in your garden with the pointed side upwards. The best part of using plastic forks is cats will not get injured and also learn to avoid the garden. Plant thorny plants like roses. This will discourage pets like dogs to enter your garden. In case you have cats, building a small separate garden with catnip and grasses is a very good idea. It can distract them from your prized scalp. Larger plants are generally less disturbed by the pets than the smaller ones. So in case the plants are very tiny right now use some kind of cage to protect them till they grow bigger. In some extreme cases, you might have to use different repellants (it should be pet-friendly) to keep them away. Now consider the second problem. How much we may want our pets to stay away from the plants, chances are that they would reach there. So it is for the sake of our pets, we have to select our plants wisely; It happened to me once my pet ate something bad and got sick fortunately I found a veterinary near me. There are several plants that are hazards to pets and can create a lot of trouble if they come in contact with those. Avoid them at any cost. Most of the dogs don’t chew any plant but small puppies sometimes tend to do so. Don’t go for chemical herbicides or fertilizers. Being organic is the first thing you can do to keep your pets safe. While applying any kind of fertilizers or pest repellants or weeding your plot keep your pets inside your house and don’t let them into the garden. In case you find your pets to act unusually like vomiting, wobbling or salivating excessively consult your nearest veterinary for guidance. Having pets and a garden is all you need to spend your quality time. If you follow these tips along you can enjoy both without sacrificing the other.